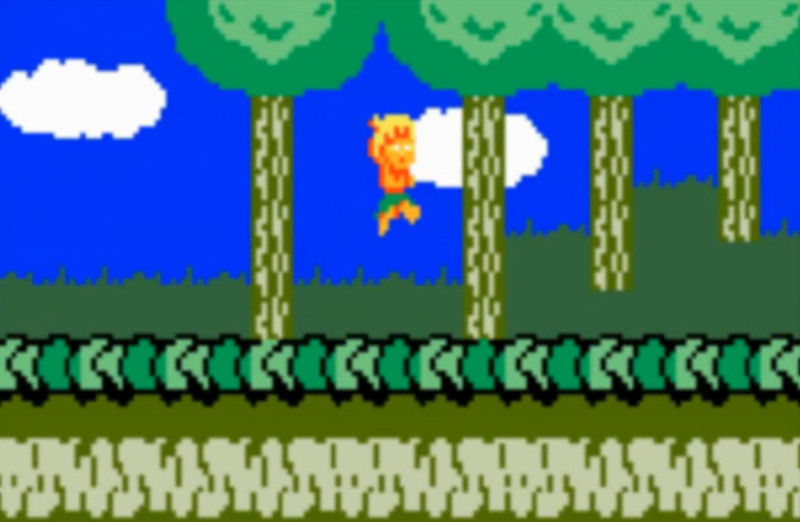 When I was a wee lad spending all my money down at the Arcades, one such game I used to love was that fantastic platformer ' Wonder Boy ' designed by Ryuichi Nishizawa. Instead of those later Wonder Boy games which became more of an adventure platformer with RPG elements. This game was all about a boy who at times rode a skateboard, jumped rocks, and with axe in hand delt with snails, snakes and even bats! Thankfully it seems many others have had a great time with this game, and as a clone to Wonder Boy, KAI MAGAZINE software will be bringing that arcade fun to the Intellivision. As noted by Oscar Kenneth, after hearing from his friend about intybasic and the fact he would have a lot of fun coding with it, he decided to buy a book and not long after made his first game for the Intellivision as a practice project in intybasic. That game was ofcourse the one shown above, Thio's Odissey. A Wonder Boy clone (shamelessly similar in some aspects) but with his personal touch and redesigned for the intellivision hardware capabilities. Links :1) Source - Thanks RVG for the heads up!